Lox 'N' Learn is happening again! 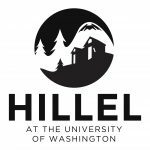 Join Rabbi Dana Benson, Assistant Director at Hillel at the University of Washington, for a fun lunch break during your work day at Microsoft. This months topic is: Counting the Omer! Learn about this spiritual mindfulness practice that originated as a counting for a harvest pilgrimage. As Jewish mystical practices become more popularized in American culture, so has counting the Omer. Jews all over the world use this time to focus on middot (Jewish values) and explore how to live more intentionally. See what the Omer practice could offer you! Microsoft building access is required. This event is open to all Microsoft employees, so feel to bring your favorite coworker with you. If you have any ideas or suggestions on topics that interest you, or other workplaces she should come to, email her at: rabbidana@hilleluw.org.